I love Chrissy Teigen! She is always bubbly and happy at least on camera. She never hides the fact that she loves food and honestly, that is something people like me like to hide. I have always been a bigger person and its normal for me to want to hide the fact that i thoroughly enjoy food. In her cookbook it shows where she came from and where that love of food came from. From reading this book i have come to a few conclusions. 1: Chrissy Teigens life revolves mainly around family. 2: She prides herself in cooking all of her meals herself, which, lets be honest, as a celebrity it would be so much easier to hire someone and let them cook for you. and 3: she likes to live a simple life. Every recipe she has in this book seems fairly easy to replicate and a lot of them have minimal ingredients which is nice for our family because it makes cooking meals for five to eight people easy and still pretty cheap. In our household we have five people, sometimes sic in our household throughout the week and eight people total on the weekends, plus and toddler. Money for groceries add up and the list we make each week is thoroughly plotted out and meticulously planned with a set price in mind and we hardly ever go over our $75- $80 a week budget. Some of these recipes are mainly for couples but if its just you and your significant other it would be perfect for you to add a little variety to your weekly menu! So if thats the case or you just like collecting cookbooks like me, pick it up! Ill leave the description below and link for anybody who would be interested in checking it out! Keep reading my lovelies! So for the longest time i have heard about a book series called Hush Hush by Becca Fitzpatrick. I just could never afford to pick up the whole set at one time with everything going on lately. So I was elated when i won the entire series in a giveaway. As soon as they were delivered wireless to my email i put them on the kindle. I started reading the first book right away and was sucked in! If you haven’t already put it together, the quote i used for the headline is from The Book Thief and when i found out that i had received PIRATED COPIES of a book that i was so excited about, it broke my heart. I will not finish this series with the copies that i have because i feel like i am committing some huge crime for receiving stolen goods! I have reported the person i got them from and then messaged them to explain that whether they believe so or not, piraters, like themselves are the reason books these days cost so much! Our favorite, least favorite and authors everywhere spend their HARD work and money in their work and how is that fair to them or their families to steal the food out of their families mouths. To all of you wonderful bookworms, please take caution in where you get your books from! Support our lovely authors and don’t buy or pirate books for your leisure time enjoyment! OMG!!!!!! Just finished another great read and had to share it with all of you! I was contacted on Goodreads by an author who needed reviews for her book and i jumped at the chance! She expressed with me that it isnt like most Young Adult/Fantasy/Supernatural book and i thought, “Okay, I can roll with this!” And roll I did ladies and gentlemen! 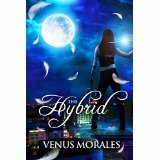 Hybrid By Venus Morales was a great read! Perfect for all mythology fans! Ari is the daughter of Ares, the God of War. 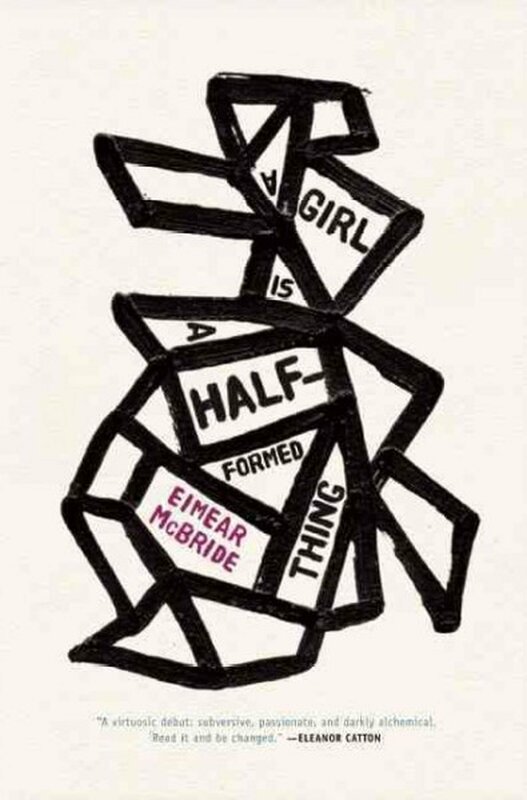 Half goddess and half Phoenician, she is raised by her father in secrecy until her 18th birthday, when he is forced to return to Olympus. She chooses not follow her father, and decides to venture out into the mortal realm. There, Ari crosses paths with the archangel Julius, who bears a message from a seer. Ari must return to the Bayou to her late mother’s coven to regain her family crown, she is soon fighting for more than just the crown; she is fighting for her life, and the inner darkness that’s consuming her. With 7 days to prepare for her trials and 7 days to fight for her life, Ari does the one thing she must do to survive; she forges herself into the weapon she was born to be. What wouldn’t you do to save those you love? How much of yourself are you willing to sacrifice to save the mortal realm, the heavens and Olympus? 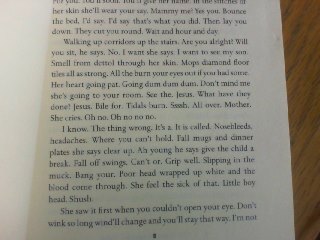 So my absolute favorite part of this book is how relatable Venus makes the main character! Ari is logical and realistic and it is so hard to find characters like that in books these days! I know people will find it hard to believe that a paranormal book or its characters can be realistic but Venus makes it happen! I laughed quite a bit through this book and wanted to cry when it was over because, well, it was over! I can not wait for the next installment! The characters were well built and carried throughout the story! Unlike books in the mythology genre the gods are actually playing a bigger roll than just being mentioned and the reason our Heroine is dealing with her problems, which is HUGE! They have a side to the story as well! It isnt just limited to just Gods and Goddesses though! Its demons, vamps and Arch Angels. I think it works for me because im more of a If-one-thing-exists-then-they-all-must-exist type of person! Check the book out by clicking the Amazon buying link below and while im at it ill give Miss Venus Morales’ goodreads link so you can follow her as well! One of our families favorite things to make for a dinner is fried chicken. We dont do it often because it takes sooooo much to feed everyone! When we do make it though, its a four to five hour experience. We have at least three different ways of making it and each time we switch off between those three recipes. 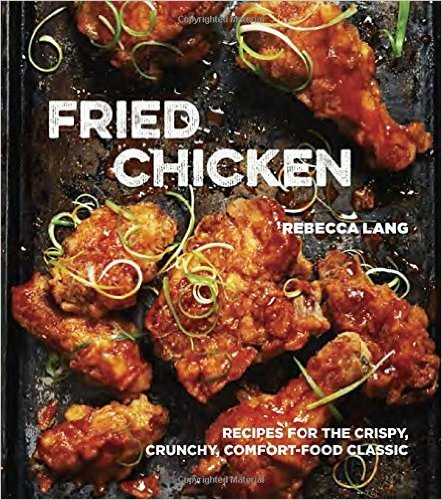 This last week I picked Fried Chicken By Rebecca Lang from Blogging For Books because in my opinion you can never have to many fried chicken recipes. Its not a bad book to have in our household of five people because ninety percent of the time we have Tims family here. So most of the time its not just the five of us… it can be anywhere from five people to ten people and everyone likes something a little. This cookbook is split into three chapters; chapter one is skillet fried chicken, chapter two is deep fried and chapter three is combination fried. Now i myself only always skillet fry my chicken but i like the idea of different fry techniques. It also covers the different types of oils to cook with, how to cut up a bird, as well as proper oil temps. My only problem with this book is that a lot of these recipes dont really look like fried chicken. They look amazing, just not like fried chicken. The other day a friend of mine on Facebook posted about how Facebook seems to be a personal, yet public, journal and then proceeded to ask how many people on her friends list actually still used a normal pen-to-paper journal. I was the first to admit that yes i do still keep a journal and let me explain why. So since then i have always kept a journal and occasionally, on the days i write to get anger out, and say things i dont mean i still burn those pages. But my journal collection continues to grow and i find myself burning pages less and less. While on blogging for books i found a Q&A a Day journal almost like the last ones i reviewed for B4B but its SO MUCH BETTER!!! Its for artists! Or maybe not just artists but those who feel like doodling! I absolutely love it! Its a four year journal and every page has a writing prompt, you draw how you see that prompt and fill in the year of that entry! Since i have been doing more drawings i thought it would be a great addition to my other new “artsy” journals. 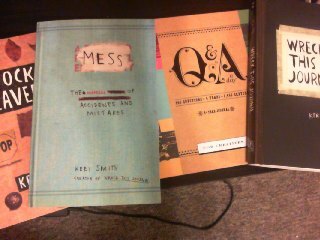 I just recently got a wreck this journal box set that included Wreck This Journal, Mess, This Is Not A Book and Pocket Scavenger! Brilliant journals and i have no shame in admitting i WRECK those journals! If your a journal writer or havent started or wrote in one for a long time i highly suggest every one of them! They are fun and give you ways to get those feelings out and sometimes without even knowing you are doing it! Read on, Bookworms! When you are a child, the thought of finding lost, buried or even new-to-you things is addicting. The thought of going on a mystery treasure or scavenger hunt is not unheard of but happens occasionally while playing with friends or siblings. Of course when I was growing up I loved the idea of finding a buried a treasure in a book store, you know that book in the very back of a bookcase or box in an old run down second hand shop for only $0.25. Those were my favorite treasures and nothing could beat them. One of my absolute favorites was Treasure Island by Robert Louis Stevenson. When I picked up this book I never knew how drawn into the book I would be, and certainly that I would not end up reading the book a couple dozen times in my life. While browsing through the list of books on Blogging For Books last week I opened another tab to look at my new weeks book. 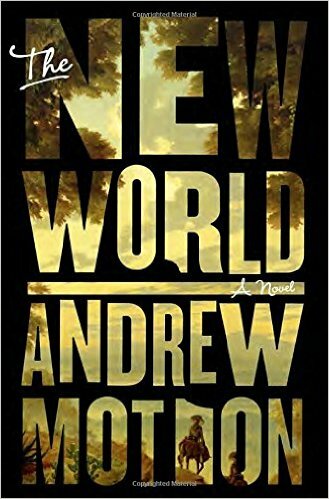 I choose The New World By Andrew Motion and was so excited to find out that it is a continuation type of story from Treasure Island. I was not disappointed in the slightest with this story and i feel that Andrew Motion should do continuations of all of the Great American Classics. Now this book could definitely be read as a stand alone but I highly suggest that if you have read Treasure Island you run, type or call for a copy of this book! I’m almost positive that its books like these that will convert children and teens of this generation from smart phones and gaming consoles to print and e-books. Below, as usual, I will post the synopsis and buying link and don’t forget; READ ON, MY LOVELIES! Washed ashore after escaping Treasure Island, young Jim Hawkins and his companion Natty find themselves stranded on the Gulf Coast of Texas. Their ship, the Nightingale, has been destroyed, and besides one other crew member, they are the only survivors. Before they can even grasp the full scope of their predicament, they realize they are not alone on the beach. When a band of Native Americans approaches the shore in a threatening fury, they brutally kill Jim and Natty’s last shipmate, rob their dead crew, and take the two desperate survivors hostage. Suddenly, Jim and Natty are thrust into an adventure that takes them all across the unruly American South. Starting with a desperate escape from a violent chief who obsessively keeps close on their trail, they join up with a troupe of entertainers who take them to a thriving and dangerous New Orleans, and seek the closest port so they can set sail for home once again. In magnificent, free-wheeling prose and in a high-flying style, Andrew Motion has spun a fantastic yarn that will win the hearts of adventure lovers everywhere.